DESIGN - PRINT - RACE! 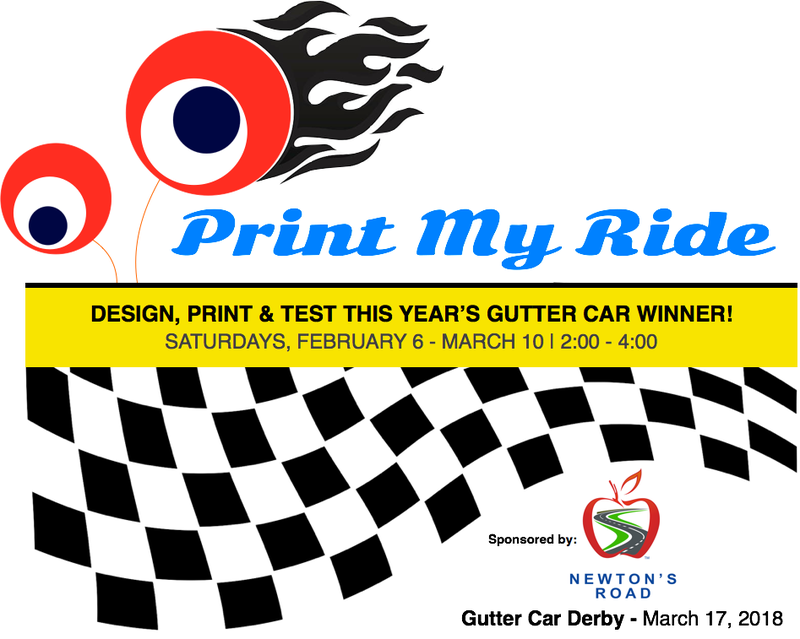 But Print My Ride is much more than learning about the design cycle or designing & printing a gutter car. It allows kids to dream, take chances, and create the things they imagine… these are the skills of entrepreneurs, innovators and change makers. Through the hands-on practical problem solving, interdisciplinary learning and the development of transferable skills, your child will imagine a world of boundless opportunities. This event is open to all students K-12 within the Traverse Bay Area Intermediate School District. Students will compete in teams consisting of 2-5 students against their peers. For teams more than 5 people, please contact Drea Weiner for consideration.